A fantastic 1x12" combo for those who love their pedal boards. 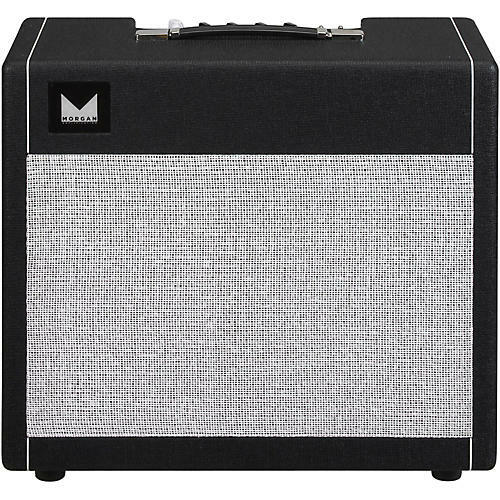 The Morgan SW22 22W 1x12" tube guitar combo is wolf in sheep's clothing. This 6V6-driven amplifier was based around the super-clean platform originally found in a certain $40,000 amplifier. This amp produces a sweet, singing sustain, even on clean notes. Intentionally designed to be the loudest and cleanest it could be with two 6v6s, it is still capable of producing a warm, compressed natural overdrive that may have you turning off your favorite boosts. Should you decide to leave your boosts on, the SW22 will handle them with ease. Designed with the modern pedal board-driven guitarist in mind, the SW22 excels with all drives, boosts, delays and anything else you want to put in front of it. The SW22 utilizes a special level control. Its job is to control the amount of gain available in the power section of the amplifier. You will notice after about 3 o'clock on the level control you are adding overdrive to the power section. This allows you to use the level control at lower volumes without sacrificing your tone. The bass and treble controls interact with each other to give you a wide range of tones. The Bass Emphasis switch changes the center point of the mid frequencies, allowing you to get even more bass out of the amp. The bright switch is designed to bring in enough top end for even the darkest guitar but without adding any ice pick. This amp was designed to be that familiar black face styled tone from the mid '60s, but with added clarity and string to string definition that is unrivaled in any similar design. This is a LOUD 22W amp. You will be pleasantly surprised with its light weight and small footprint, especially when it blows much larger and heavier amps out of the water. Joe Morgan has been building, modifying and repairing amplifiers since 1996. His designs are seen in stadiums and arenas all over the world. It is hard to turn on a music awards show without seeing his products. Joe designs for the working musician, whether that means a Sunday morning church gig or touring the world with James Taylor. Joe will be the first to tell you that tube amps are not rocket science (Joe was part of the engineering team that developed the first GPS satellites). Tube amps are only as good as their components and Morgan chooses the best of the best. Engineered with custom designed Mercury Magnetics transformers to provide the best possible sonic signature they also provide him with the confidence to offer a limited lifetime warranty.